The DCJC launched a first-ever, spring-break study abroad program this March. Organized and managed by Dr. Melanie Neuilly, the program was offered to upper-level undergraduate students, and included an extensive itinerary over eight days in London, England from March 15th to the 23rd. 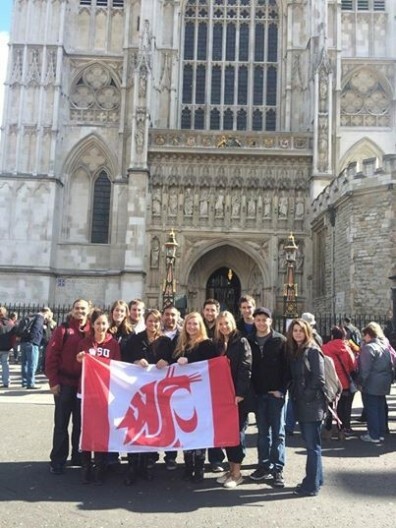 Eleven students decided to forgo the traditional sunny spring break options such as Mexico and Arizona, and instead “headed over the pond” to London – where the weather was actually quite pleasant for the week. Dr. Jacqueline van Wormer stepped in to oversee the trip to London after Dr. Neuilly gave birth to her first daughter just a few weeks before departure. This was a first experience traveling abroad for many of the students, along with experiencing a lengthy 8+ hour, red-fly flight. The group departed Seattle on Saturday evening, March 15th, at 8pm, and arrived in London at 11am on Sunday. The itinerary was packed, and upon landing, the group was loaded onto a motor coach for a photo-opt tour of London, followed by a welcome dinner at the Hand and Flower Pub in West Kensington. Each day was divided to explore different agencies and institutions in the policing, courts and corrections fields. 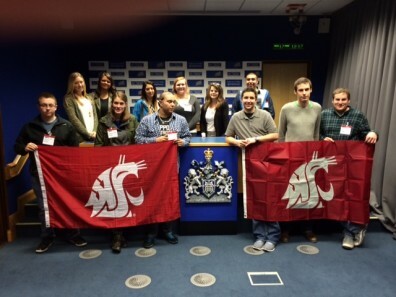 Monday was spent at the New Scotland Yard, and students had the opportunity to learn about their operations, training, and even special protection details of the Prime Minister and Royal Family. 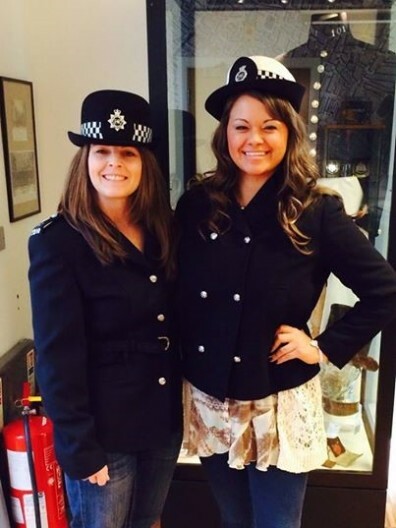 Tuesday, the group was off to the City of London Police Museum, which was a fascinating walk through the history of policing in London. The afternoon was spent attending a lecture at the Westminster Law School. This actually proved to be a highlight of the week for some students, and we are grateful to Dr. Sasha Darke and his students for their willingness to field endless comparative questions as we discussed similarities and differences between our criminal justice systems. Wednesday brought us a long tube (train) ride to the outskirts of London, as we spent the day at the medium security Wormwood Scrubs male prison. We were informed upon arrival that it had “been a bit of a lumpy morning” according to the Director of Security, and therefore most of the units were in lock-down. The tour still proved to be quite informative. At this point in the week, and after several visits/observations, several key distinctions between policies and practices in the England vs. the U.S. became clear to students. First, only a small percentage of law enforcement officers carry weapons, and this is similar in their correctional facilities. During the prison tour, students learned that prisons in England hold not only those convicted for long periods of time, but also those pending trial, and those arrested on warrants. Therefore, their classification and risk/needs system operates quite differently than in U.S. prison systems. The rest of the week (Thursday through Saturday) entailed visits and observations of the Old Bailey (Criminal Court), Royal Courts of Justice (courts of appeal and high court on civil matters) as well as their newly established (2009) Supreme Court. Visits to Westminster and Parliament wrapped up the week, and by this point all students were in agreement that not only was the agenda packed with great presentations, tours and observations, but that the experience was rewarding, fascinating and highly recommended for future students. Faculty from the DCJC is busy preparing for our next spring break study abroad for 2015. If you would like more information about the program, please feel free to contact Dr. Melanie Neuilly or Dr. Jacqueline van Wormer. 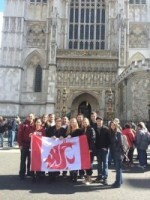 DCJC Cougs at Westminster Abbey. Media briefing room at the Scotland Yard. 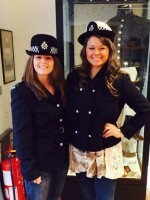 Representing uniforms/hats worn by Scotland Yard policewomen, 1929 and 1940. 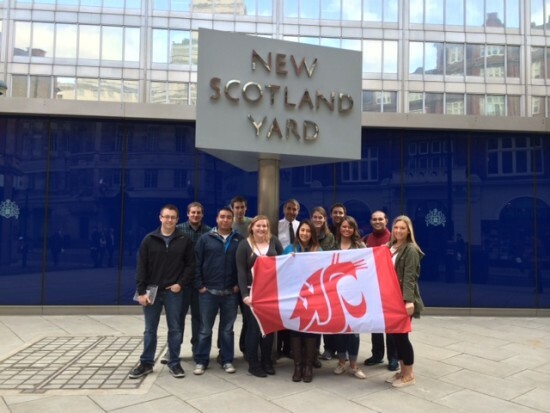 DCJC Cougs at the New Scotland Yard.